Restaurant week began in NY in 1992. It was a marketing event, launched to boost restaurant traffic after the peak of fashion week. It was a success which then spurred Restaurant Weeks, in many cities around the world. 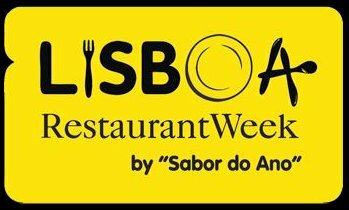 Lisbon and Porto are now participating in this event. For all of the participating restaurants, guests can enjoy an excellent meal for only 20 Euros, of which one Euro goes to several charities. One can discover new restaurants, special dishes and solidarity simultaneously. The following website provides the list of all participating restaurants. It is only in Portuguese, so have fun…. Bon appétit / approveito Bom! This entry was posted in Uncategorized on October 22, 2014 by Glenn Cooper. Carnival (often spelled Carnaval) is a festive season which occurs immediately before Lent. Carnival involves a wide variety of public celebrations, children dressing up in great costumes and adults partaking in some wild parties that go on for days… It is a mix between a circus, a coming together of different people from different worlds, and just a huge celebration. People often dress up or masquerade during the celebrations, as a means of showing that they are allowing the positive spirits take them to a different world. Next year, make sure to plan a trip to Lisbon to partake in this wonderful event. This entry was posted in Uncategorized on March 6, 2014 by Glenn Cooper. Rentals in Lisbon is proud to announce that our Duplex luxury apartment is all ready to go. Bairro Alto apartment rental. This project took the greater part of the entire renovation of the building since it involved installing a second bathroom on the top floor…..
We are sure you will love Lisbon and welcome you in our Laurel Townhouse for your next trip to Portugal. Please contact us with any questions you have while planning your trip. This entry was posted in Uncategorized on January 19, 2014 by Glenn Cooper. Today was a beautiful sunny and crisp day in Lisbon. We decided to head to the famous Royal Mountain village of Sintra with Christina, a new friend from Internations. A visit to the famous Pena Palace and High Tea at the Sintra Tivoli Palacio de Seteais was on the agenda for this Sunday. Sintra is a great day trip out of Lisbon. It is a short drive or train ride and the idyllic mountain village houses many Portuguese palaces and monuments and beautiful views in every direction. Sintra . In addition to the Sintra Mountains and Sintra-Cascais Nature Park, the parishes of the town of Sintra are dotted by royal retreats, estates, castles and buildings from the 8th-9th century, in addition to many buildings completed between the 15th and 19th century, including the Castelo dos Mouros, the Pena National Palace and the Sintra National Palace, resulting in its classification by UNESCO as a World Heritage Site in 1995. (Wikipedia). The palace stands on the top of a hill above the town of Sintra, and it can be easily seen from Lisbon and much of its metropolitan area. It is a national monument and constitutes one of the major expressions of 19th-century Romanticism in the world. (Wikipedia). It resembles a castle out of Disneyland and has a lengthy history with many different epics of constructions and additions coming from many different architectural backgrounds. The palace stands on the top of a hill above the town of Sintra. We had reserved for HIGH Tea at 4:00 pm at the Tivoli Palacio de Seteais, one of the most beautiful hotels around Lisbon. Tivoli Palace’s high tea included a full buffet, scones and cream, and a wide variety of local tidbits. This was one of the most outstanding afternoon tea’s I’ve had in a long time. Great Vinho Verde (local sparkling wine), a wide variety of tea tidbits (scones, cream and locally made jellies), as well as local Portuguese dishes. Our group (a Frenchie, ex Londoner, and ex New Yorker) all found something delicious to sink our teeth into….. This entry was posted in Uncategorized on December 22, 2013 by Glenn Cooper. Nikolina is a new Lisbon friend I’ve made since living here, who comes from Montenegro. Sounds exciting, doesn’t it? She is the head Ambassador of Lisbon’s Internations group, a vibrant expat organization functioning in most cities around the world. Internations aim is to bring people from all different backgrounds together in the city in question to form a community. The group has lots of fun events (which I highly recommend) and Nikolina is an asset to the group. Always a trick up her sleeves including a suggested Sunday afternoon Brunch in Belem and a visit to the Berardo Contemporary art Collection…. We met at the Altis Spa hotel in Belem (a small historic village next to Lisbon, which is full of pretty places, cultural events, museums, and the world famous Pasteis de Belem (Portugal’s delicious custard cakes which are now imported to Paris for a discerning few….). They offered clients a beautiful contemporary setting, waterfront, with a delicious, very hearty BRUNCH, including sparking wine, fresh orange juice, and a large variety of dishes to choose from. Modern art can be a hoot. This entry was posted in Uncategorized on December 10, 2013 by Glenn Cooper. Low Cost Portugal: Two castles for the price of one….. While continuing the renovation of my second apartment, I spend a weekend outside of Lisbon in the region of Coimbra, Portugal’s famous University town. They have a number of Azulejo factories and outlets where we can find incredibly good deals on these beautiful tiles. We decided to spend a weekend in a beautiful historic Palace known as the Curia Palace, where off season prices were unbelievable. The Quinta das Lagrimas is known in Portugal for their Zen Day spa, known as the Bamboo Spa, named taken from the Bamboo forest located behind the Palace. The spa was a wonderful break and the staff were all very attentive to our group. Definitely worth a trip. They suggested we go to another find in Coimbra for dinner before heading back to the Curia Palace. High up in the hills of Coimbra in the University neighborhood, a great idea was born. Using a large open space on the back side of the Museum Nacional Machado de Castro with a large terrace that flows over all of Coimbra’s sky line, this great trendy restaurant was created called LOGGIA. The food and service were both excellent, and the views were very unique…..
We managed to purchase the Azulejo tiles on Sunday morning on the way back to Lisbon. All in all a great weekend…. This entry was posted in Uncategorized on November 24, 2013 by Glenn Cooper. Well after a few months of hard hard work, our first Lisbon apartment is ready to go. Our first offering in the Lisbon market is the ground floor of this beautiful typical townhouse, located in Lisbon’s wonderful Principe Real neighborhood. This is the first of three beautiful apartments we will be offering our guests, all part of our Novo de Loureiro (New Laurel Street) townhouse. The pretty pastel pink facade is quintessential Lisbonesque. The entire building is being renovated floor by floor in order to combine the beautiful surroundings with very comfortable and trendy interiors. The process is moving along quickly, despite the huge undertaking we had to accomplish. Imagine what the ground floor looked like when we first received the keys…. The ground floor Laurel Lover’s Hideway moved quicker than expected. We only had to redo the electricity and plumbing, install a new bathroom and kitchen and give the entire apartment a full head to toe painting…. As always, our apartments all have cable tv, and high speed WiFi, top quality sleeper sofas in the living area, and top quality queen size beds to ensure our guests a great night’s sleep. Although a fan of contemporary decor and style, I still appreciate some of the unique historic designs we find in many European settings. Portugal is famous for it’s beautiful, bright and colorful Azulejo tiles. These tiles include Moor and Asian influences through the centuries and add a nice touch to a modern setting as well. Portuguese Azulejo tiles have been discretely sprinkled through the apartment. Our first apartment is ready for rentals and we will shortly be adding on two more beautiful apartments including the first floor two bedroom/two bathroom unit, and the duplex located on the top two floors of our Laurel Hideaway townhouse. Coming soon….. This entry was posted in Uncategorized on November 12, 2013 by Glenn Cooper. During any meal in one of Lisbon’s wonderful restaurants, when a bottle of water is ordered, this is often what arrives on your table. One day I decided to ask the waiter where this Luso water came from. I was in store for a tale of the origins of Portuguese spring water, and a town which has one of the best reputations as a piece of Portuguese paradise, LUSO…. The prefix Luso- indicates a relation to the Lusitania, Portugal or the Portuguese people. The word is derived from Lusitania, the Latin name for what would be modern Portugal. Lusitania was an ancient Roman province including approximately all of modern Portugal south of the Douro river. The town of Luso, Portugal was formed in the 11th century. During the 1800s, the hot springs of the village of Luso became known throughout Portugal due to their healing properties. Soon after, spa resorts were developed, and tourists came flocking into town during the summer months. We enjoyed a morning in the Termas do Luso, their spa facility. It was a wonderful experience and one of the best massages I have had in a long time…Currently, Luso spring water is being marketed as one of the best in Portugal. Driving up a small windy mountain road out of Luso, we arrived in Buçaco, one of Portugal’s antique royal spots, where the king Luis I had his hunting lodge. The Palace Hotel do Buçaco is located in this spot, the mountain range of Serra do Buçaco. The Palace of Buçaco was built between 1888 and 1907. It was designed as a Romantic palace in Neo-Manueline style, evoking the 16th-century architectural style that characterised the peak of the Portuguese Age of Discovery. The Buçaco Palace is inspired in iconic Manueline buildings like the Jerónimos Monastery and the Belém Tower, both located in Lisbon. This entry was posted in Uncategorized on October 20, 2013 by Glenn Cooper. We decided to drive down, and chose to take the quickest route, the A2 highway which goes directly from Lisbon down to Faro, the main city on the Algarve Coast. It was an easy 2 1/2 hour drive straight South until we ended up at our destination Lagos. Our villa was located on the coast and had beautiful water views. The Algarve has something for everybody. There are honky tonk towns with lots of activity and night life going on all night (i.e. Abufeira, Faro) as well as calmer destinations aimed more at those looking for a quiet getaway in a beautiful setting (i.e. Lagos, Vilamoura). Fun for everybody is assured. Since you are on the Atlantic ocean coast, the beaches are among the nicest you can find in Europe and let the environment remains calm and very quaint…. We chose to do an afternoon boat ride that began in Lagos, and went along the southern coastline to Sagres. It was a very fun journey on which we met a number of English and German friends. Sangria was flowing and they had a great barbecue lunch included as well. The visit to the Aquamarine grottos was a wonderful experience and we were all able to try some diving as well. I preferred the Sangria to the diving so I maintained my status as a spectator on this journey. The town of Lagos is a very pretty ‘typical’ Algarve towns. Whitewashed walls, Portuguese ‘Calcada’ tiled streets, and lots of attention to detail as it was constructed are all still there today. Even modern artwork has been added to the setting in a very discrete manner. This entry was posted in Uncategorized on October 14, 2013 by Glenn Cooper. After living in Paris for many years, I ended up (as most people do) taking for granted all of the great things Paris has to offer. Beautiful landmarks, historic sites, fun neighborhoods and great restaurants are everywhere to be in found in the City of Light. We took a quick metro ride up to l’Etoile, the head of Paris’ Champs Elysees avenue and the Arc de Triomphe. This traffic circle has more accidents each year than any spot in France. Insurance won’t even completely cover a collision on this traffic circle as a result…. Luckily nobody was hurt in our group and we headed to the Pompidou center for a little culture…. The Roy Lichtenstein exposition at the Pompidou Center was in full bloom. Completely packed and a lot to see and learn about this Pop Art guru’s life and career. He was quite prolific and the exhibit was extensive. We then had a quick lunch on the roof top restaurant of the Pompidou Center, called Le Georges, which was a great break from the sight seeing. On our way back home we even had a fun surprise, French politics….. While crossing the Marais district heading to Ile Saint Louis, two of Paris’ most unconventional and liberal, free-sprited neighborhoods, we stumbled onto the French Communist party’s office. A bit surprising in this neck of the woods. It was quiet with not much activity going on. Maybe on Monday business will pick up…. This entry was posted in Uncategorized, Uncategorized, Uncategorized, Uncategorized, Uncategorized, Uncategorized, Uncategorized, Uncategorized, Uncategorized, Uncategorized on September 27, 2013 by Glenn Cooper.